The photography business is in a constant state of flux and the merging of the world of still and motion seems near the forefront of what is being discussed in terms of new creative content. Over the past year, we have worked to evolve visually and have been a part of several video based collaborations. As time marches on and projects come and go, a whole new set of work has emerged. 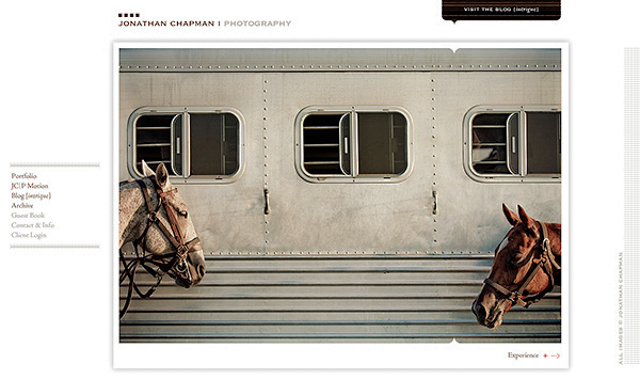 An update to the website seemed obvious and became something we worked hard to get underway between projects. We didn't feel the need to reinvent from scratch, but rather take on a solid refresh of everything that was good about the old site, along with new additions to spotlight fresh work and our recent ventures into the world of DSLR video. We once again tapped Nathan Strandberg and Katie Kirk, of Eighthourday, for the redesign / update which now features larger portfolio images, a sleeker, cleaner appearance, and a new section entitled "JC|P Motion;" dedicated entirely to our video and interactive based projects. 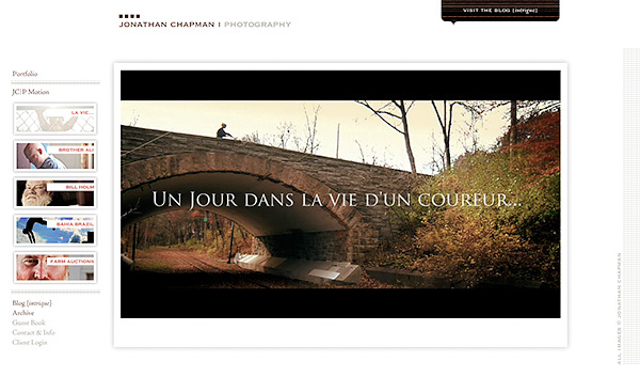 Take a moment to look around the renewed JCP site and be sure to spend some time with the new section JC|P Motion where you’ll find our newest piece "La Vie..." based on the still imagery of the Runner shoot produced near the end of last year. Grenada may seem an unlikely place to establish a medical school, however, St. George's University was founded on this Caribbean Island over 30 years ago. The medical school currently boasts nearly 8,000 graduates practicing medicine worldwide. This recent project for St. George's University was in fact my second - both this and the first were in collaboration with The Halo Group out of New York. For this campaign our backdrop was a Minneapolis area hospital which offered up some amazing access to the realistic medical environs we were seeking. With our talent in place and the various scenes lit, it felt a bit like being on the set of a fast paced medical drama. After trying a couple of lighting options, we realized the lighting from our modeling lights (kicked into umbrellas) actually had a more natural look. With some minor gelling we were able to achieve the desired look + feel while pairing with the existing fluorescent lighting. Thanks goes out to Bobbi Peacock for producing another seamless project, as well as Janna Chin our wardrobe / prop stylist, and of course Ashlee Ellert our expert on hair + make-up. 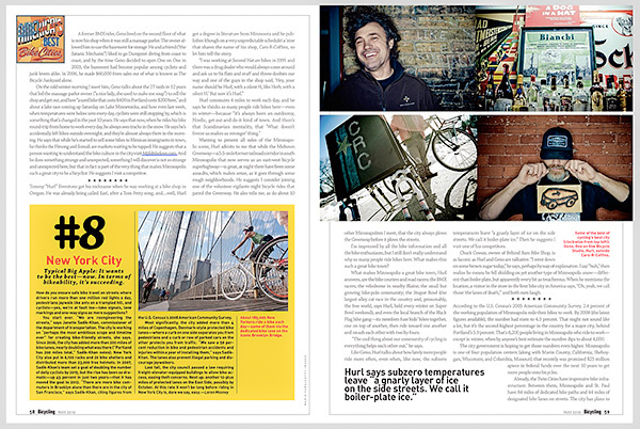 A recent shoot for Bicycling Magazine had us catching up with four "bike-centric" people / places in the Minneapolis metro-area. The story hails Minneapolis as the No. 1 bike city in America! Considering we are a land of frigid temperatures, icy roads, sandspit, and boiler-plate ice, for part of the year, the elements do not take pity on the lone two wheeled bicycle. The fact that Minneapolites ride in these conditions at all speaks to the passion and dedication of riders here in the metro. The Twin Cities have nearly 130 miles worth of bike paths and bike lanes in the streets with over 8,000 individuals using them to commute to work. 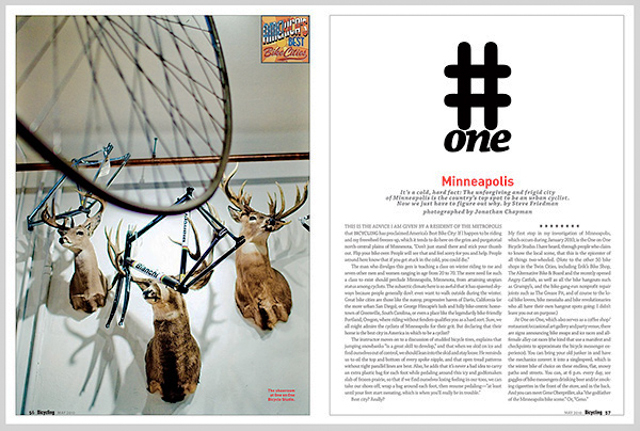 We were fortunate enough to photograph a few of the many prominent bikers and bike shops/cafes Minneapolis has to offer. 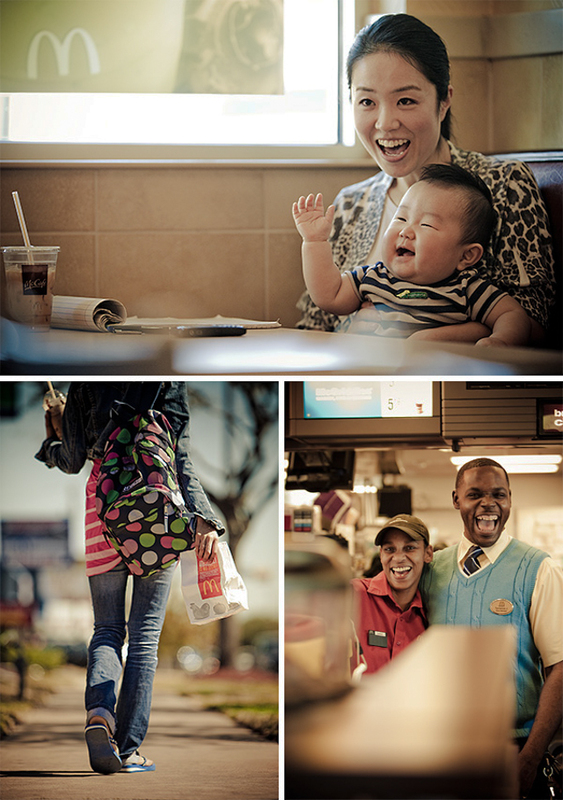 The last shoot for 2009 took place in Burnsville, MN for McDonald's at a newly remodeled store, which led to one of the first shoots for 2010 in Houston, TX. Under the golden arches once again, the main difference between the two shoots, aside from location of course, was a greater focus on what happens behind the scenes as a crew member. In particular, our aim was more directed at capturing a day in the life of crew and managers who play a vital role in the day to day operations of a McDonald's restaurant. We were granted access to all of the behind the scenes areas which allowed us to float around freely capturing images + video of all the elements working together to make a successful operation. Whenever the opportunity arises for an in depth look behind the curtain, we usually come back with a greater appreciation of the people and the effort that goes into producing the end product; after four days and 7 restaurants, McDonald's is no exception. From the kitchen staff, to window washers to the shift managers, everyone's role is essential for the golden arches to continue to stand tall upon a solid foundation as one of the most recognizable brands in the fast service industry. Once again we were able to carve out time to capture some video - this time using a beta glide track type dolly system courtesy of our friends at Humble Monkey Productions. I look forward to sharing this final edit in days ahead. The final video edit of "Bright Lights: Metal In The City" is complete. After much conversation and dialogue surrounding both the edit and color, editor Alex Horner has put the finishing touches on the final cut. As mentioned in the post on February 2nd, Alex was brought on to capture video alongside the stills I was shooting on this test project involving a car + model amid the streets of the Minneapolis Warehouse District. The end goal was to cut together a very short narrative, a piece that would match the look and feel of my stills. This is something I am working hard to refine as we dive deeper into the world of video. It's exciting to continually learn what works and what doesn't. Alex has done a great job with editing, grading and even providing an original track by Composer Steve Horner, his father. I really like where the final piece has ended up. I might add headphones certainly accentuate the experience. More video on the way. 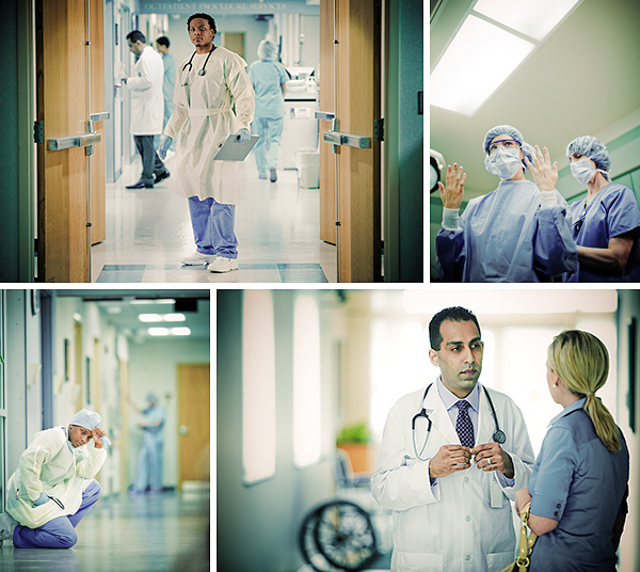 Just shot a still project for the N.Y. based agency The Halo Group at a local hospital here in Minneapolis. We wrapped a little earlier than anticipated so we quickly shifted gears to capture a little video. This content won't likely be used or licensed by the agency, rather will hopefully inspire and cultivate some ideas for another project down the road. The content will likely make its way into my first "reel" which will be coming together soon.